What will the factory of the future look like? 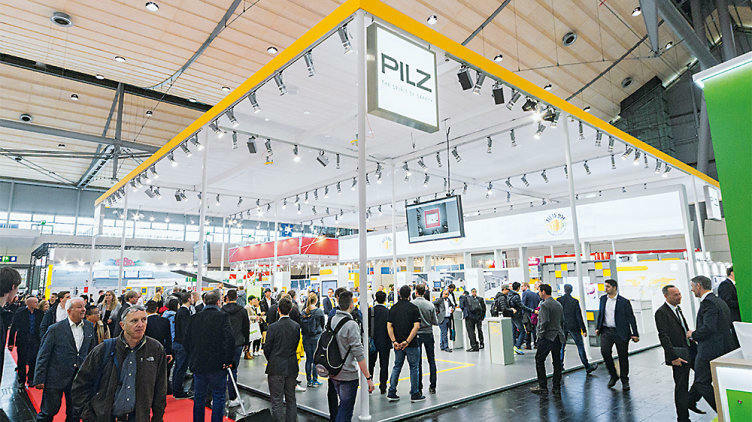 For Pilz, the Hannover Messe (23rd to 27th April 2018) stands for innovative automation solutions for the smart factory. Completely new at this year’s exhibition, we will be presenting our modular safety gate system with its flexible combination options. The gate. The system. The safety. They will also play an important role in the factory of the future: safety gate systems. At our exhibition stand, we will for the first time be presenting our new modular safety gate system live on the model. Profit from cost-effective series connection, emergency release, fast diagnostics as well as additional operating and pushbutton elements! Our experts will show you how to create a customised safety gate solution from the individual Pilz components. Flexible production: Our smart factory makes it possible! Intelligent networking and flexible production open up huge opportunities for industry. In Hanover you can see for yourself how quickly our Smart Factory adapts to changing market situations. In this way, an additional product can be manufactured at the new manual workplace without the existing process being interrupted. That's real modularity! Our dynamic pressure-sensitive safety mat PSENmat, which safeguards the hazardous area and enables safe, hands-free operation of the machine, will also be in use. Flexible production according to the standards of Industrie 4.0 – try it for yourself at our stand! A factory floor and no robots? This is inconceivable in the factory of the future! In Hanover, we will show you how areas and spaces in front of hazardous areas can be safeguarded to your own specific requirements using our dynamic sensors. See three products from the Pilz sensor technology family in operation: the safety laser scanner PSENscan, the pressure-sensitive safety mat PSENmat as well as the safe camera system SafetyEYE. At our exhibition stand, we will also show you how you can use the Pilz HRC collision measurement set to perform standard-compliant validation of your application in accordance with ISO/TS 15066. Arrange an appointment with our experts at the exhibition now! Make plans now to visit Pilz at the exhibition. Our exhibition page contains all the information regarding our innovations and highlights. Here you can arrange appointments and secure your free exhibition ticket! We look forward to meeting you at the Hannover Messe 2018! You can find us in Hall 9, Stand D17.